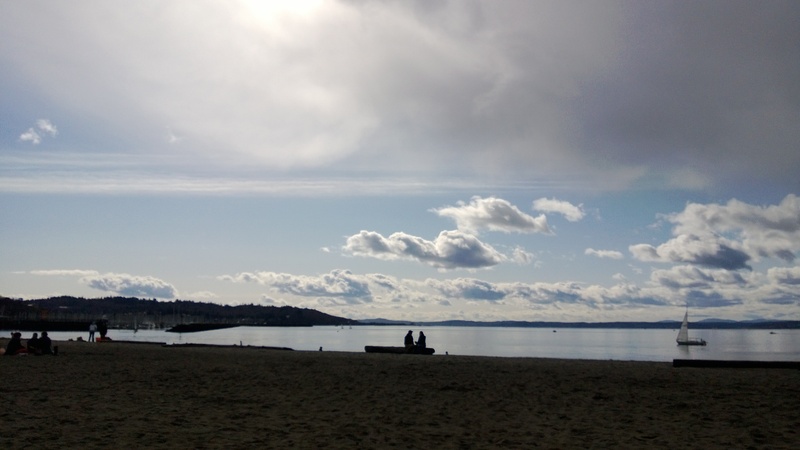 My lovely friend from high school, Sarah, just made her annual pilgrimage to visit us in Seattle. As with most Minnesotans, Sarah needed an escape from the bitter cold and snowy winter. Generally Sarah’s visits consist of clouds, fog and/or torrential downpours, but this time we dodged a bullet and got some sunshine and near 60-degree temperatures topped off with magnificent mountain views. Sarah arrived on Friday evening and we headed straight to the Bottlehouse, our friendly neighborhood wine bar. We shared a bottle of vino and each got our own dinner. Afterwards, we went back to our house and had more wine, then hit the hay earlyish to get ready for a busy weekend. Saturday was one of the weekend’s highlights. Sarah and I started the day off by getting pedicures at the wonderful Pro Sports Club. This was quite possibly the best pedicure experience either one of us had ever had. After changing into our robes and slippers, we headed down into the lounge which was fully-stocked with fruity water, tea, coffee, and spa snacks. Once our technicians were ready, they brought us back into our own private room with big leather chairs and whirlpool foot baths. The pedicure itself was relaxing and very luxurious. I would definitely go back when I need some pampering. After enjoying another cup of tea, Sarah and I continued on our girls’ day and drove out to Woodinville to do some wine tasting. 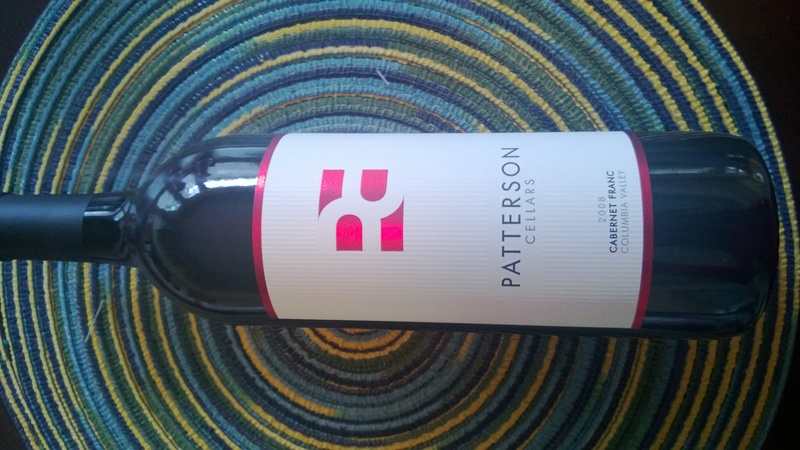 The first winery we stopped into was Patterson Cellars. We really enjoyed their wine! 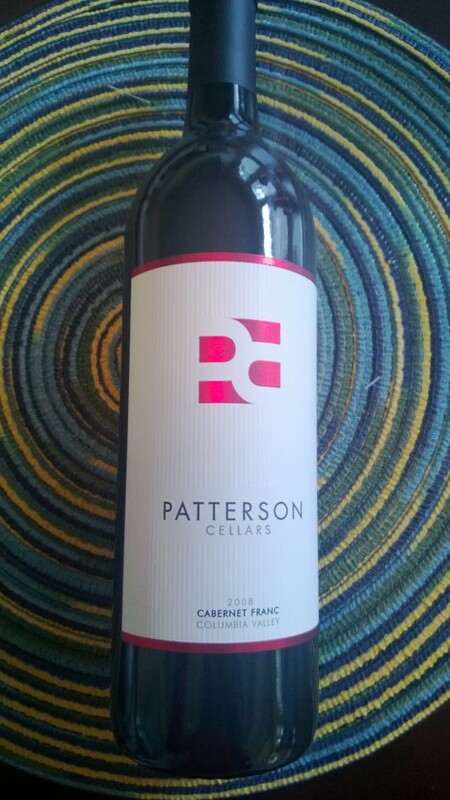 Both of us ended up buying a bottle of Forbidden White and I brought home a bottle of Cab Franc to enjoy with Alex. Then we had lunch at Purple and did another tasting at Sparkman, which we didn’t love, then Alex came to pick us up after taking a 40-mile bike ride in the pouring rain. After a quick refresh, Sarah and I walked up to Restaurant Bea for dinner. We finished off our meal with a salted caramel/chocolate ice cream sundae from the famous Molly Moon’s ice cream shop. Alex’s friend Jamie came over to hang out on Saturday evening, so after we got home we all chatted together. We knew that Sunday would be more relaxing, so we took it easy on Sunday morning and made a breakfast skillet before heading into Fremont and Ballard to check out what was going on. Unknown to us, Fremont hosts a Sunday Market year-round, so we enjoyed walking through the market and perusing some local craft vendors’ merchandise while sipping on lattes from Fremont Coffee Co. Our visit to Ballard ended up being quite quick – we parked at Golden Gardens and took a quick stroll along the sidewalk at the beach before it started to rain. The rain continued throughout the afternoon, making it a perfect movie day. We watched Silver Linings before making dinner at home for our last evening with Sarah. Sarah’s last day in Seattle was spent in downtown Bellevue doing some eating and bridesmaid dress shopping for Sarah’s September wedding. 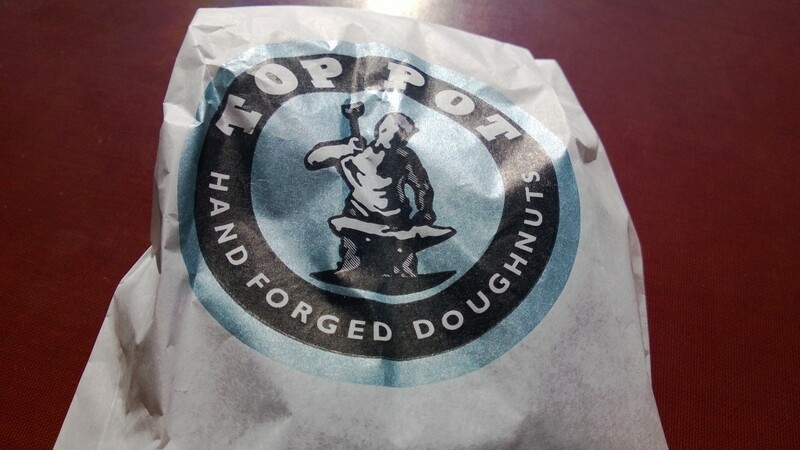 Who goes to Top Pot Doughnuts before trying on dresses?!! We stopped at a bridal shop and Nordstrom and tried on several dresses together. Sarah is going shopping again this weekend with the rest of her bridesmaids, so I’m anxious to see what gets chosen! This entry was posted in Food, Friends, Fun, Life and tagged friends, Shopping, weekend on March 7, 2013 by Alison Allen.